Trader & Supplier of Separating Machine & Paddy Separator. 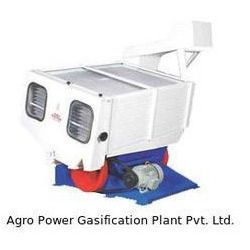 Our product range also comprises of Biomass Gasifiers, Sterling Generators and Silent Generators. Empowered by our vast industry experience, we are engaged in providing our clients a broad range of Double Body Paddy Separator. Offered paddy separator is effectively separate brown rice from the grain mixture by using gravity & surface frictional method. The given paddy separator is inspected on different parameters before the final delivery from our end. 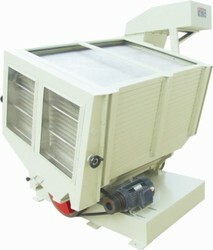 In addition, this paddy separator is used for separating paddy from the mixture of paddy and rice. We are counted amidst the distinguished manufacturer, distributor and supplier of Paddy Separator that is perfectly separates stone and impurities from paddy. This paddy separator is used to separate brown rice and mixer of paddy. This paddy separator is provided in different specifications & models as per the requirements come from customers. The given paddy separator is tested on numerous parameters of quality in order to ensure its excellence. Leveraging upon our vast industry experience, we manufacture, distribute and supply a broad array of Single Paddy Separator. Our paddy separator is demanded for its features such as stable and reliable mechanical properties, smooth running, compact construction & simple processing flow. This paddy separator is inspected by our quality experts on several parameters so as to deliver a fault free range. We are giving this paddy separator on various specifications as per the demand of customers. 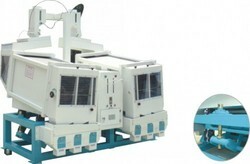 Looking for Separating Machine ?